There are 30 posts tagged Greenpeace (this is page 1 of 2). Will Asia Pulp and Paper leave 70,000 hectares of high carbon stock forest inside its suppliers’ concessions in Kalimantan? In February 2013, Greenpeace stopped campaigning against Asia Pulp and Paper in Indonesia. The reason was APP’s Forest Conservation Policy that promised to protect all areas of forest and peatlands in its suppliers’ concessions. 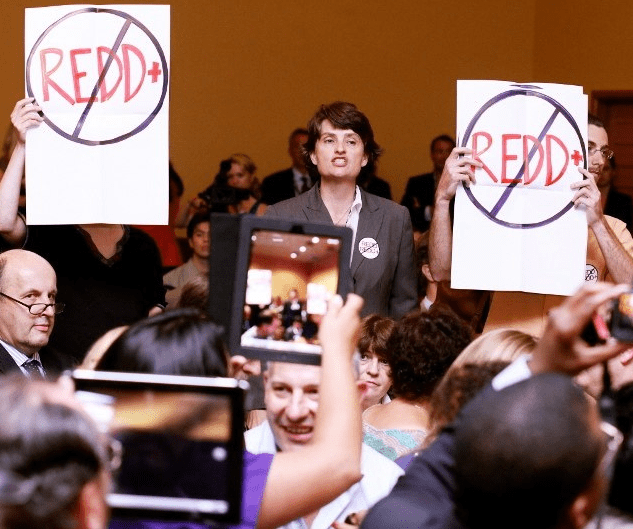 A new report by Greenpeace critiques the Governors’ Climate and Forest Task Force for its promotion of REDD as a sub-national offset mechanism, that will allow pollution in California to continue. Greenpeace has launched a consultation document on REDD safeguards. Called “Forests & People First”, the initiative proposes a set of minimum safeguard standards for REDD and other forest and climate programmes.